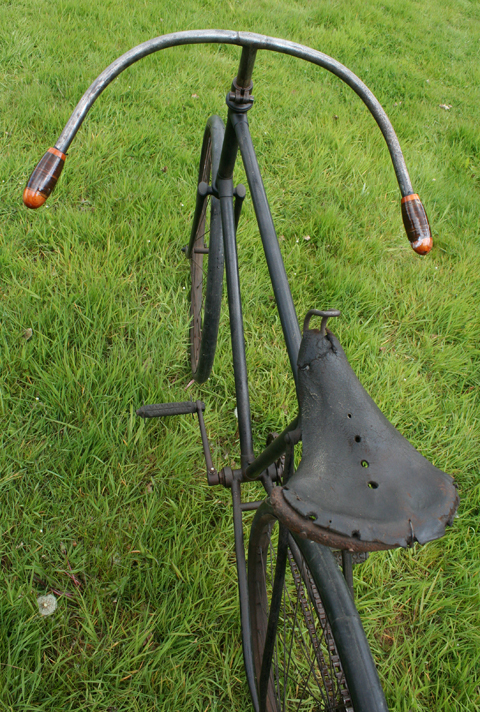 The ‘Racer’ was based on the standard Sparkbrook No 7 Safety, with more sporty assignments such as a lightweight saddle and extended racing handlebars; mudguards, brakes and lamp bracket were removed. Compare the No 9 Safety, below. 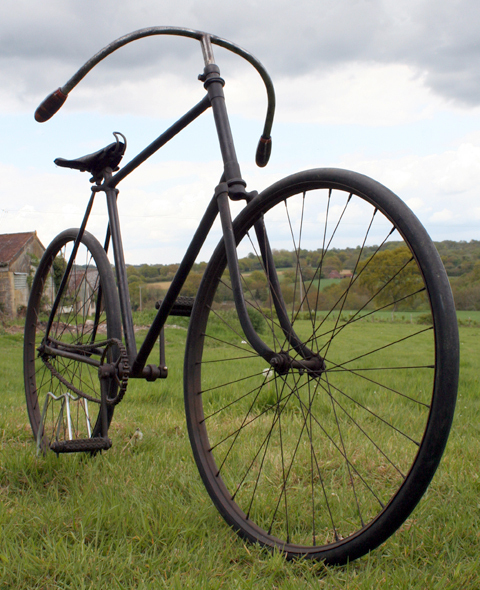 Dunlop developed the pneumatic tyre in 1888, which revolutionized cycling as much as the design of the safety bicycle. 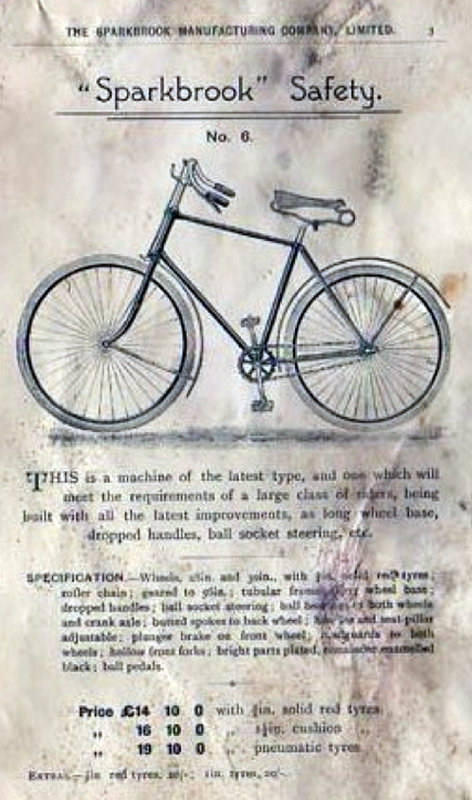 By 1893, most bikes could be fitted with them. 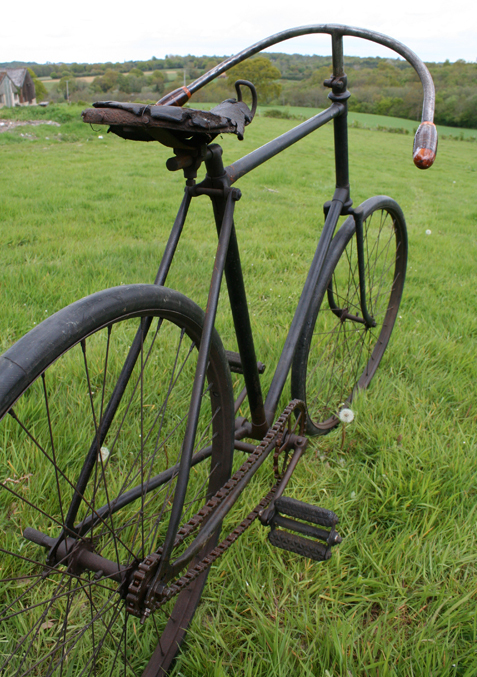 Because, in 1893, pneumatic tyres were the ‘latest thing’ – and so comfortable compared to solid rubber that it created a cycling boom. Two centuries on, however, the novelty is solid tyring. As such tyres are very rarely seen by members of the public, many veteran cycles are fitted with solid tyres and their riders put up with the discomfort for the sake of authentic presentation. I will buy some ‘greentyres’ in the correct size and see how they fit. They’re modern tubeless tyres. It will be interesting to try them out. 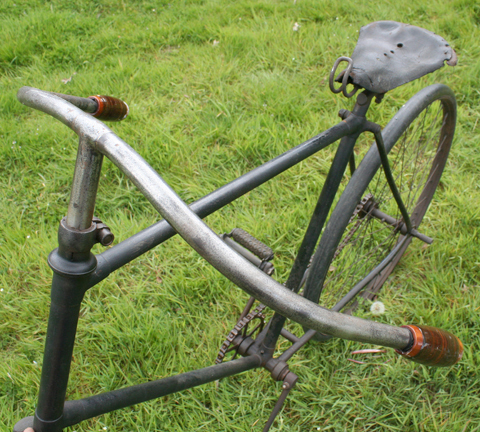 The swept-down handlebars on this safety give it a superb racing style at a time before organized racing had started. This is an excellent original machine. 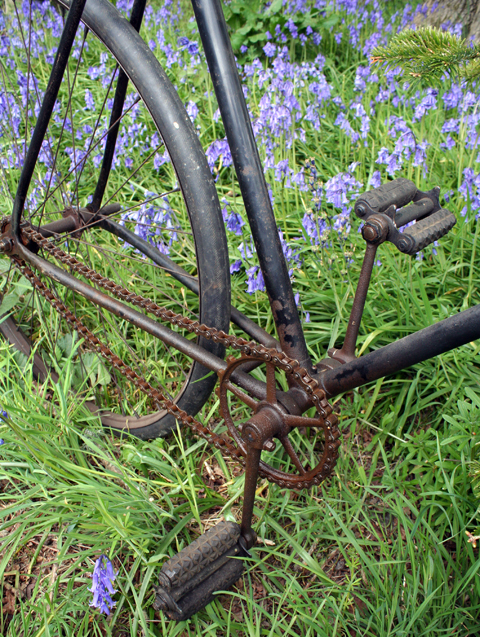 With so many people now realizing the investment potential of 19th century bicycles, machines of this era come up for sale far less frequently. Its faded paint sets it off ideally. 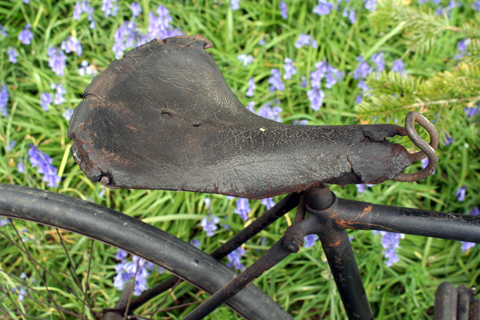 Many glorious old steeds have, unfortunately, been repainted. 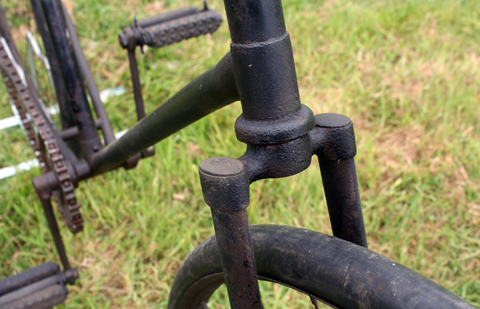 So such original patina is now even rarer, and stands right out from the crowd. 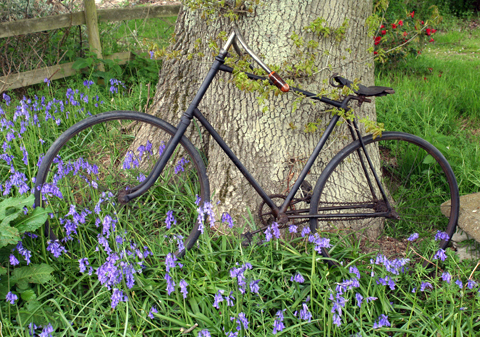 What I find particularly interesting about this era is that, with the recent advent of the ‘safety cycle’ and – just as important – mass-produced pneumatic tyres, cycling created a total revolution in personal transportation. Of course, these days we take for granted the ability to travel at will. But, in 1893, this was still a novelty. 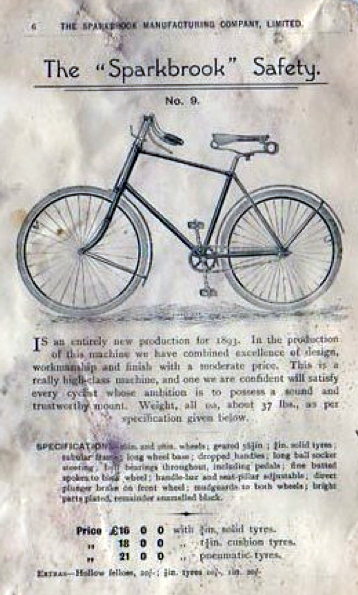 I like browsing magazine articles of the time that discuss increasing ways in which the bicycle insinuated itself into everyday like, such as the one below explaining how political parties came to depend on bicycles. 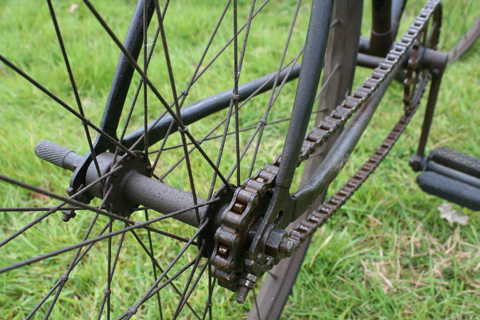 This safety has ball-bearing bottom brackets, and 6 1/2 inch cranks with a 6 inch chain wheel driving an inch pitch chain. 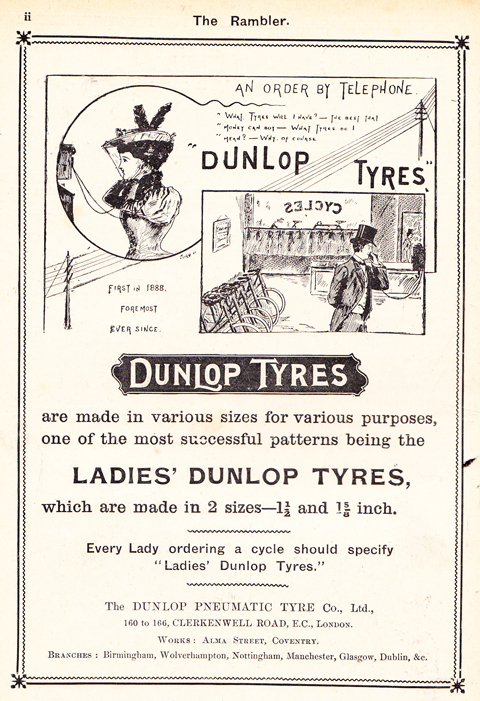 Dunlop took out the British patent for the pneumatic tyre in 1888. However, two years later Dunlop was officially informed that it was invalid as Scottish inventor Robert William Thomson had patented the idea in France in 1846 and in the US in 1847. 1843 – Charles Goodyear announces vulcanization. 1846 – Robert William Thomson invents and patents the pneumatic tyre. 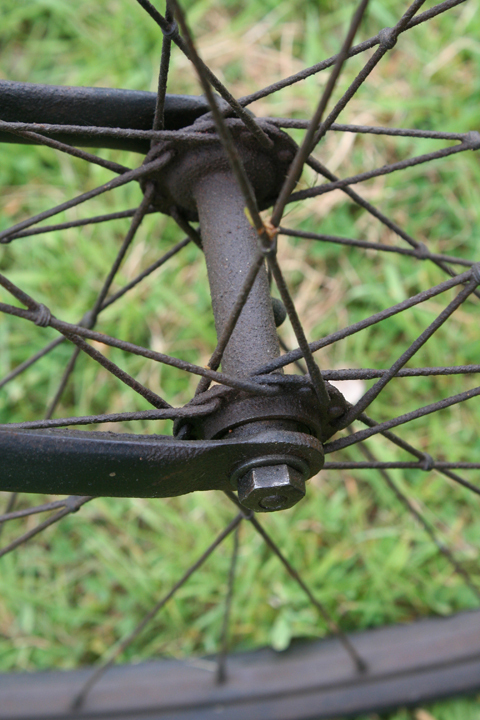 1880s – John Boyd Dunlop begins taping pneumatic tyres to bicycle wheels. 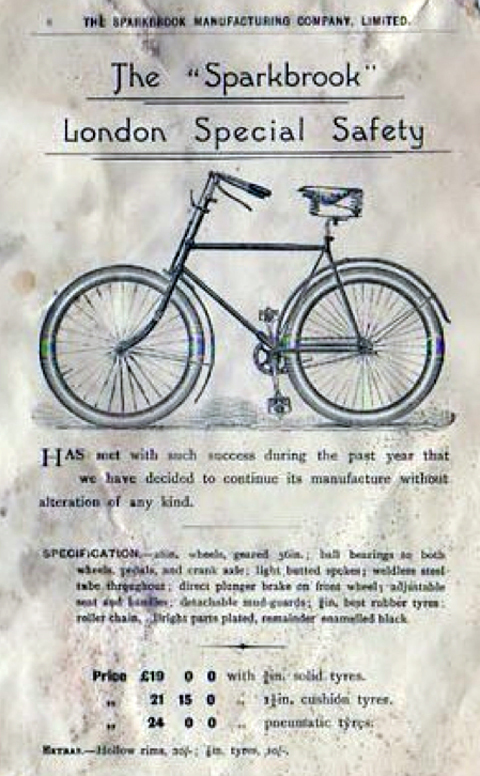 1888 – First commercial pneumatic bicycle tyre produced by Dunlop. 1889 – Dunlop patents the pneumatic tyre in Great Britain. 1889 – Adolphe Clément sees a Dunlop pneumatic tyre in London and acquires the French manufacturing rights for 50,000 francs. 1890 – Dunlop and William Harvey Du Cros begin production of pneumatic tyres in Ireland. 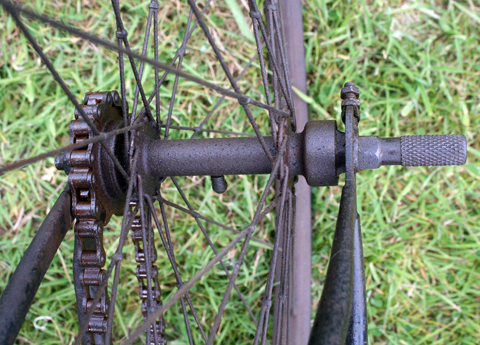 Thickened beads, wire retainers, and shaped rims make taping tyres to rims unnecessary. 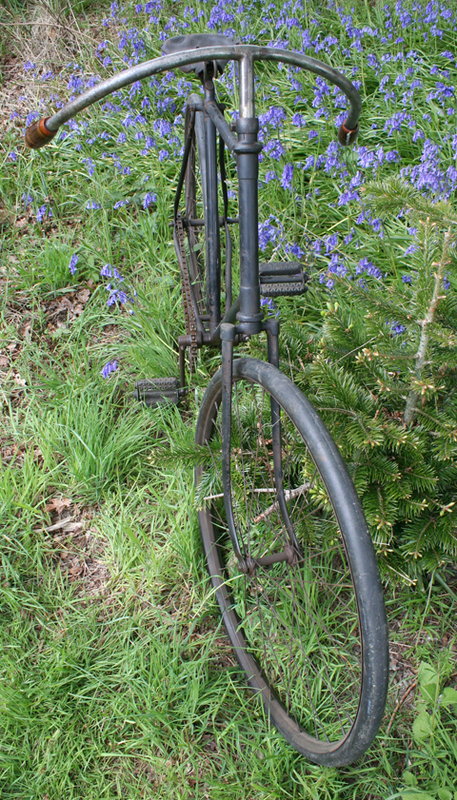 1890 – Bartlett Clincher rim introduced. 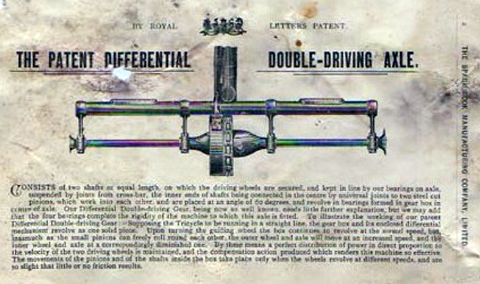 1891 – Dunlop’s patent invalidated in preference to Thomson’s patent. 1891 – The Michelin brothers patent a removable pneumatic tyre, used by Charles Terront to win the world’s first long distance cycle race, Paris-Brest-Paris. 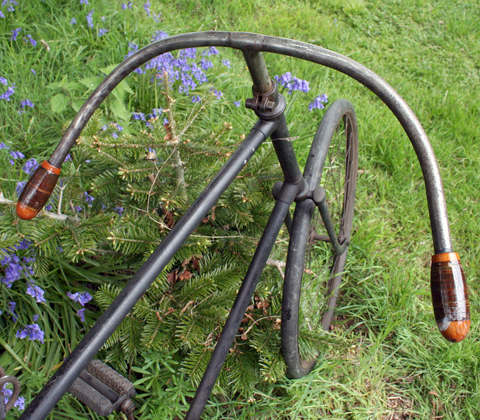 1892 – Beaded-edge tyres introduced in the U.S.A.
1893 – Cotton reinforcing cords appear. 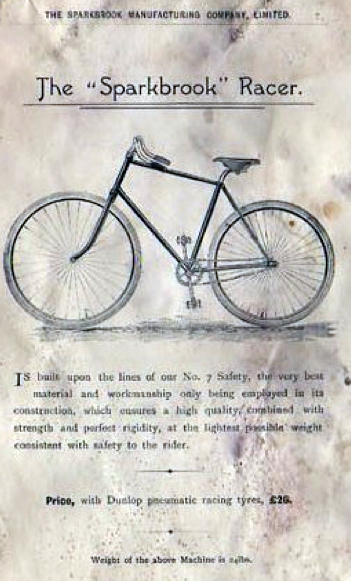 1894 – E.J. Pennington invents the first balloon tyre. 1895 – Michelin introduces pneumatic car tyres. André Michelin uses corded tyres in Paris-Bordeaux-Paris rally. 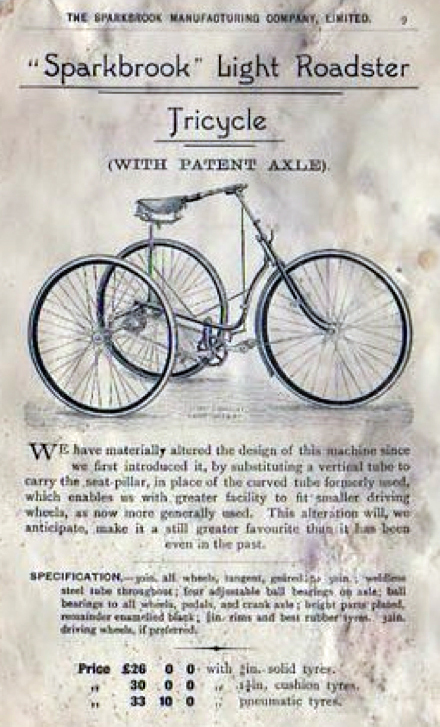 By 1897, they become standard for racing. 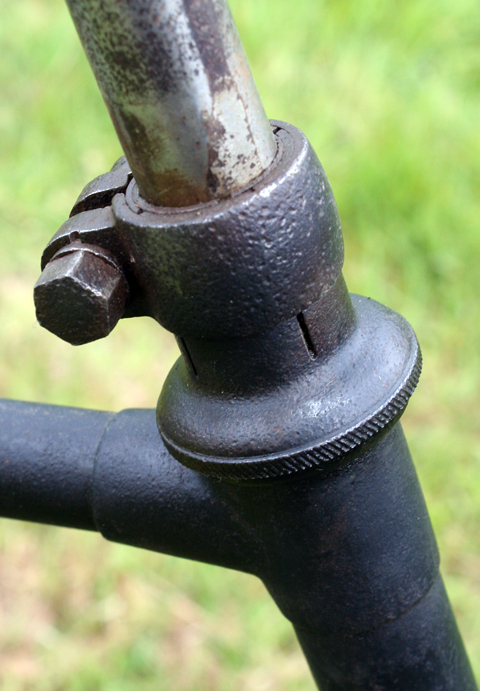 1898 – Schrader valve stem patented. 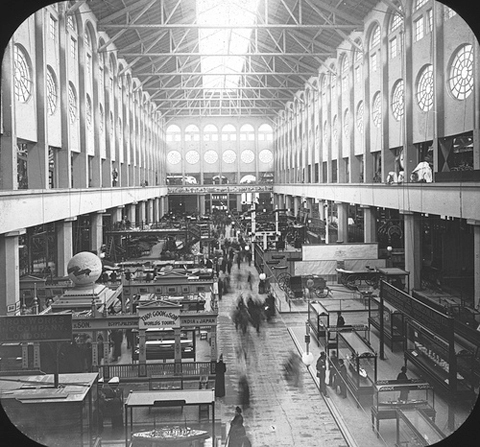 1900 – Cord tyres introduced by Palmer in England and B.F Goodrich in U.S.A.
England began the cycle of world’s fairs at Crystal Palace in 1851. 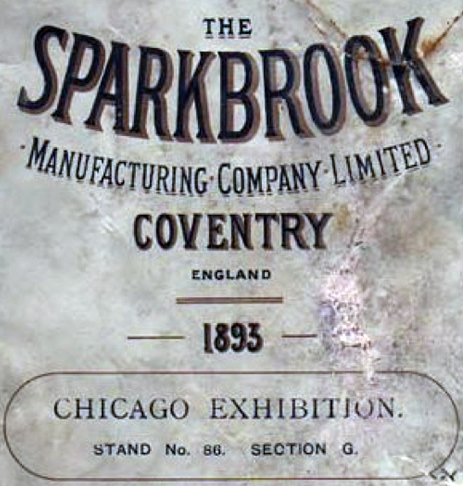 You might have noticed that the cover of this Sparkbrook catalogue (above) mentions the company’s exhibition stand number 86, section G, at the Chicago Exhibition. The World’s Columbian Exposition was held in Chicago in 1893 to celebrate the 400th anniversary of Christopher Columbus’s arrival in the New World. Over 27 million people attended the Exposition during its six-month run from May 1, 1893 until October 30, 1893. Below you can see the Transportation Building and Great Britain Exhibit (with Thos Cook World’s Tours in the foreground). The Transportation Building, designed by Louis Sullivan, was crammed full: Pack mules and horse-drawn carts crowded next to bicycles and boats. Most exciting of all were the rows of massive American-built steam locomotives that towered over everything else in the hall. Trains, the Exposition’s organizers seemed to say, were the transportation of the future. Only one internal-combustion vehicle was on display at the fair, tucked away in the corner of the Transportation Building: another of the wire-wheeled, tiller-steered, one-cylinder platform quadricycles that Daimler had introduced to Parisian fair-goers in 1889. It was like nothing most Americans had ever seen and yet almost no one paid any attention to it. Reporters barely mentioned the Daimler car and it didn’t even appear in the exhibition catalog. Originally established as the National Arms & Ammunition Co in Birmingham in 1872, the company had some early success in obtaining government contracts, producing Snider carbines and Martini rifles for Ordnance contacts as well as some Colonial and European orders. The company ran into financial difficulties and was liquidated in 1883. In 1886 the Government purchased the defunct factory on Montgomery Street, in Sparkbrook, Birmingham. This factory became known R.S.A.F. Sparkbrook. Complete rifle production began around 1889 with the Lee-Metford rifle, quickly followed by the Lee-Enfield rifle and the Mk I SMLE rifle. 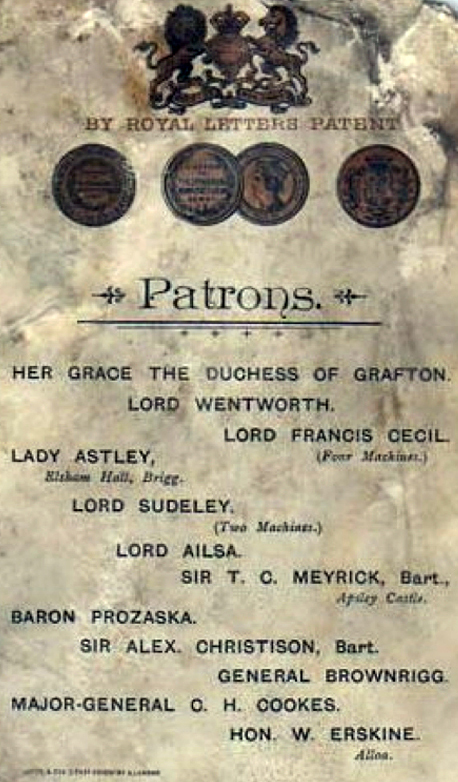 In 1906 RSAF Sparkbrook was sold to BSA. As the plant was less than a mile from BSA’s Small Heath plant, the facility was used for general engineering work, rather than small arms production, although a few SMLE Mk I* rifles were produced there in 1906 (marked BSA SPARKBROOK). 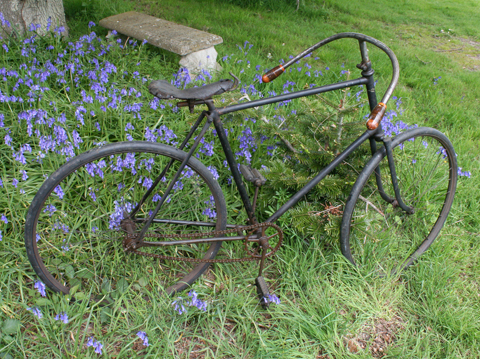 At the outbreak of the Great War it was producing small tools, car bodies and parts for the BSA 13.9HP motor cars. 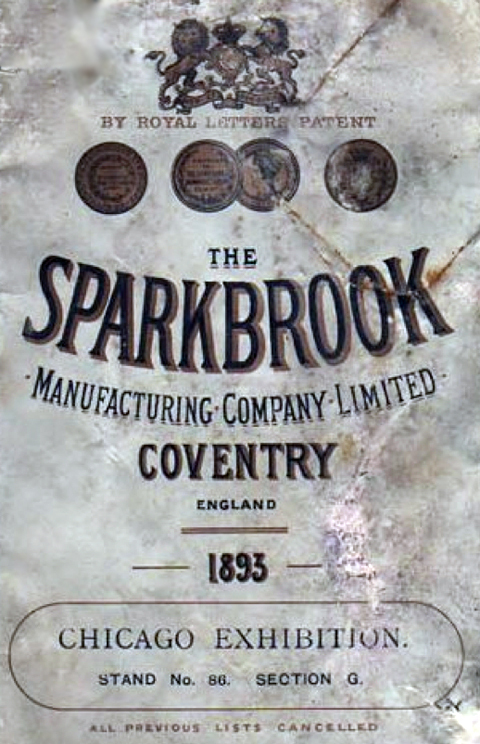 The Sparkbrook Manufacturing Co was established in 1883 (the same year that National Arms & Ammunition Co was liquidated) and a move made to Much Park St, Coventry, then in 1889 to Paynes Lane, Coventry. In 1898 it also had showrooms at 14 Holborn Viaduct (where S.H. Stevens was the manager), as well as at 133 Hammersmith Rd and 26-28 Shaftesbury Ave, London. 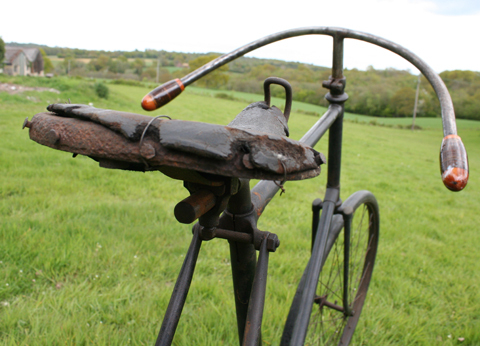 Below you can see a 1921 Sparkbrook 250cc motorcycle that I sold a few years ago.